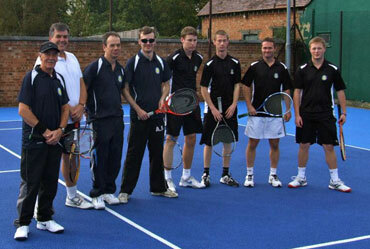 Bicester Tennis Club is one of the most competitively priced clubs in Oxfordshire. Membership to the club gives year-round access to the 3 courts at Garth Park. Our members are the most important part of our club. They are a lively, friendly crowd who provide a relaxed atmosphere and a warm welcome to any new and prospective members. Organised club sessions with balls provided. The opportunity to play in one of our many league teams through both summer and winter. Entry to the club's Wimbledon ticket ballot (you need to be a BTM member – this is free!). No need to book courts. Free use of flood lights. Use of changing rooms and club house. The opportunity to play other club members. Regular in-club competitions providing many social opportunities to meet other club members. Payment can be made using paypal within the membership system, by cheque, or by online banking direct to the club bank account.